Monday already? Hope you all had a great weekend. I traveled up to Boston on Saturday to visit my long time friend Alexis. 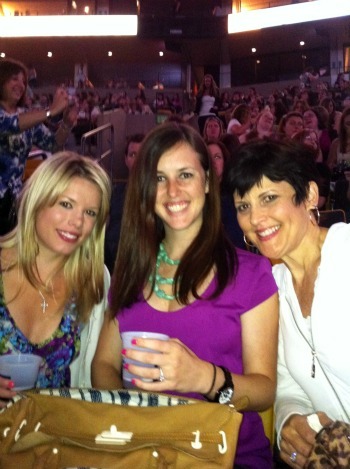 Along with her mom we went to see the New Kids on the Block and Backstreet Boys at TD Garden. I don't even know how to begin describing this experience, so funny! I can't believe that 14 years ago we went to our first Backstreet Boys concert together and I cried because I loved Nick Carter so much. (I'm talking bawling tears.) Great times reminiscing... and people watching. 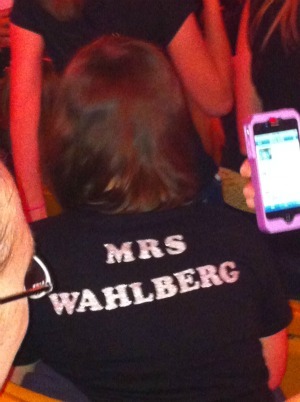 We were surrounded by NKOTB fans - Mrs. Wahlberg was sitting right in front of us! I do remember having a cassette tape (wow) when I was little but was never a big fan. Since NKOTB are from Boston the crowd was going nuts, my ears are still ringing. I can say I was really impressed with their energy and think they were overwhelmed with the response from their hometown crowd. Both groups came out clad in Boston Bruins jerseys for the final number and the highlight of the show, "Everybody (Backstreet's Back)" and "Hangin Tough" mash-up. Ummm this is a little embarrassing... but I still have some of my prized BSB memorabilia that I unearthed from a box under my bed. I'll always be a teeny bopper at heart. I remember begging my dad to order this Nick Carter shaped CD off eBay. He also drove me and my friends to countless concerts growing up - he's seen all the great boy bands of our day thanks to me! Before the concert we walked around Back Bay and had a delicious lunch at Piattini Wine Cafe. 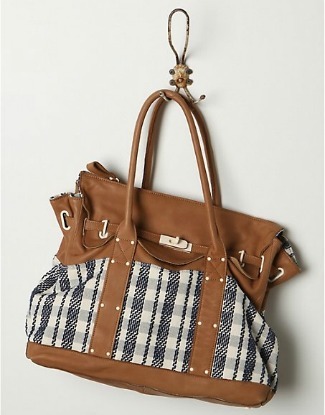 Alexis bought this cute new tote you see in the picture above at Anthropolgie. I want one too! If you were ever a fan and have the chance to see the tour it's definitely worth it! Did you have a favorite group? Jealous!!!!!!!!!!!! I was in LOVE with Brian!!! They are great I'm so glad they are doing their tour as a together thing! Love it! Oh my gosh, I am so jealous that you got to go!! I was also in love with ol' Nick. I got to see New Kids for my 12th birthday, it was epic...and then I got to see BSB when I was in college. But the two together would be great. I was completely freaking out when they were on the today show this week! No you did not!!! I am so jealous! I saw them on the Today show last week and the boy band spark was ignited once again. How fun..I remember cassette tapes! I liked the Backstreet Boys, but Nsync was always my favorite, hehe! How fun! I was a huge New Kids fan and when they came out with a new album a couple years ago my father offered to go in the attic and retrieve all of my stuff. Oh and I bought the combined cd last week. Just discovered your blog. So fun! 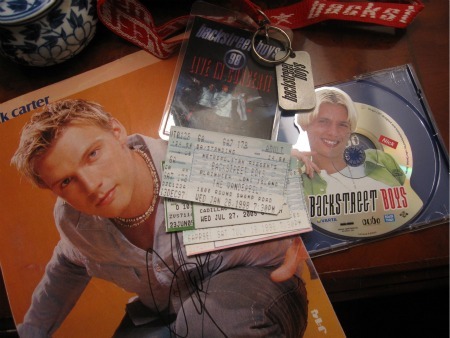 I had to laugh at the New Kids/ Back Street Boys Concert post because I also was in love with Nick Carter. I saw the BSB's in concert twice and pretty much had front row seats where I was yelling " I love you Nick and crying.." and yes cassette tapes. Noting like Debbie Gibson and the boys blasting on our cassette players.